At Azeal Dermatology, we are dedicated to much more than serving our patients. Being able to actively help our community is something that we love being able to do. Our team participates in a wide range of community outreach projects and volunteer events. Follow all of the different events that we are involved in here and keep an eye out for us at your next event. Also, feel free to reach out to us about any events that you have in mind. The amazing organization known as A Woman’s Work, allowed us to raffle off great prizes to women who help other women. As a team of women, we love being able to provide the skin care that women need to be at their healthiest. This also provides us an opportunity to better inform women on ways to protect themselves and be proactive with hard to talk about diagnoses like skin cancer. 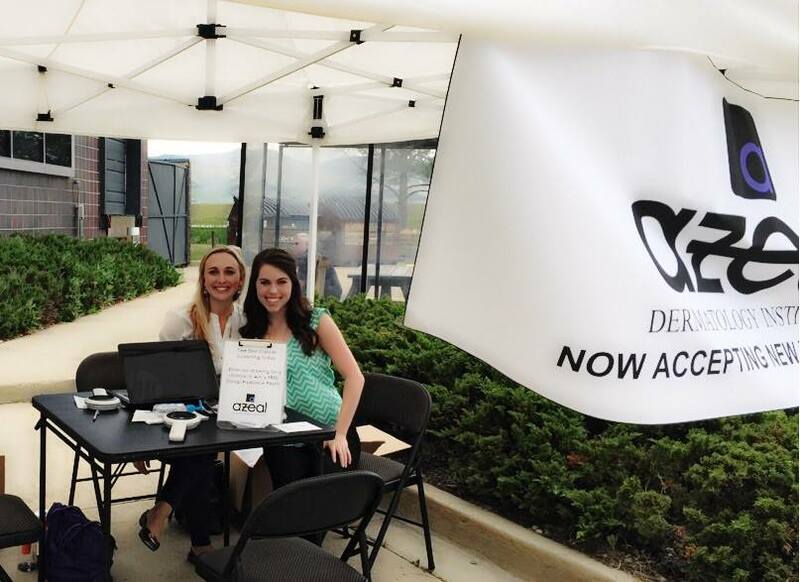 At this fair we were able to provide skin cancer screenings to the employees of Spectra Logic Perks and educate them on sun safety. With the amount of skin cancer diagnoses raising at an undeniable rate, these types of opportunities are ones that we love seeing companies take advantage of. The more individuals that we’re able to inform, the better. 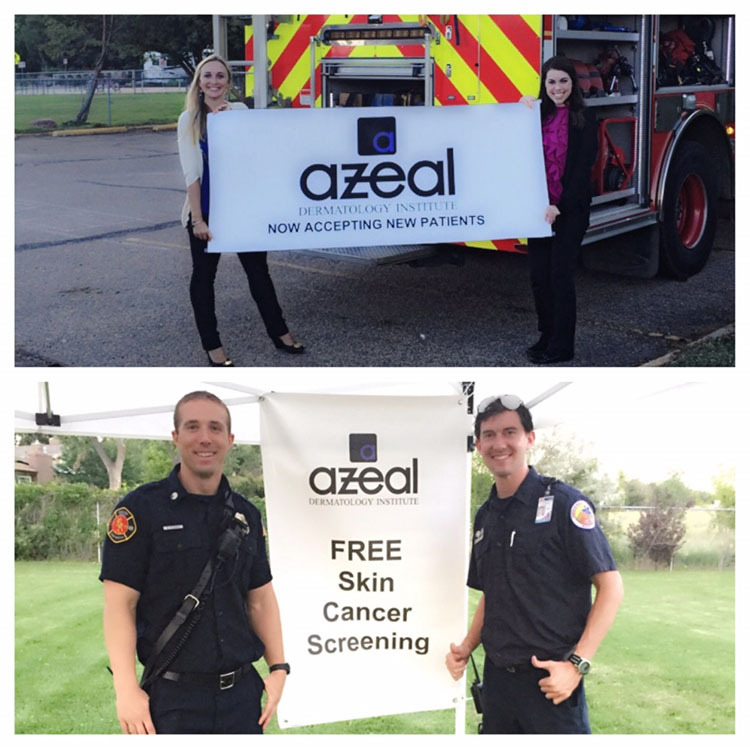 At this particular community outreach, we provided skin screenings to our local heroes at Heatherwood Elementary. Afterwards we were able to provide more insight on the different types of skin cancer and ways to prevent it. The least that we could do is provide protection methods and advice back to the men and women that protect us on a daily basis! Azeal Dermatology is proud to have joined the Boulder Chamber, where we will be able to play an extremely active role in the town of Boulder. Stay tuned for the different events and changes that we make as we venture out on this journey! Thank you all for your support up to this point. Our team loves finding fun ways to participate with the town. The FACE concert was one of the most fun community outreach products we’ve been able to be a part of. We made sure to bring our skin screening booth so that any individuals interested in the skin screening process was able to get a better understanding of their skin and how to care for it. This also included more information of ways to avoid skin cancer. If you’re a fan of running then you spend hours on hours in the sun. While this is easy to enjoy, it’s important to know how to protect your skin from the rays of the sun. At the Boulder Craft Brew 5K, we were able to screen so many participants and provide them with the information that they need to stay safe even on the hottest of days. Make sure that you’re keeping your skin safe while enjoying all of your favorite events and hobbies outside. 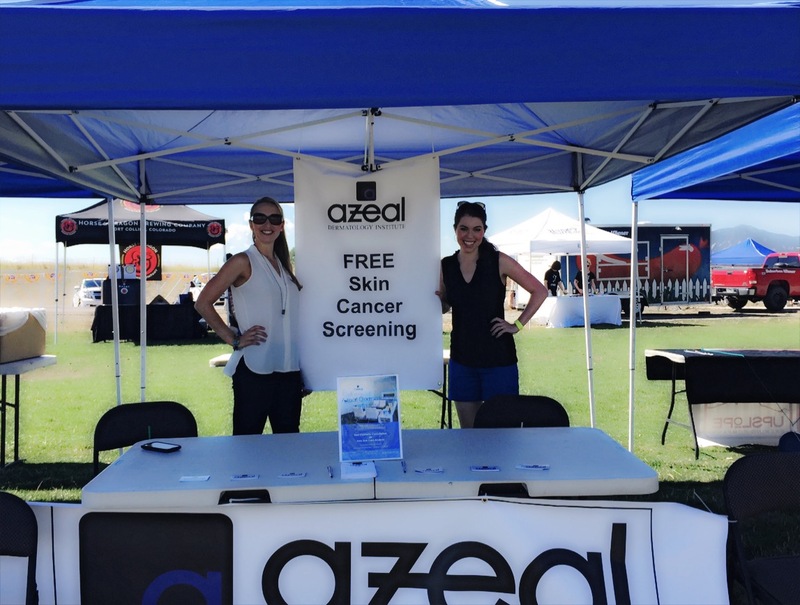 Azeal Dermatology got to spend the 28th of August at the Festival on Main located in Longmont. We were able to provide a bunch of skin screenings to an entirely new area, meaning that we got to spread our love for healthy skin and skin cancer protection with more people. Stay in the know with the condition of your skin by having your skin screened with our team of dermatologists.